Card Review: 7.1 I'm not really sure if these stickers should count as "cards." They're about half the size of a regular card and paper thin. But everyone else is doing it, and I don't feel strongly enough about it to argue. It's a great photo for a card. 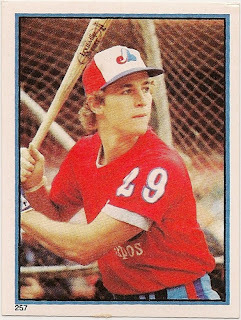 I've always liked cards with photos taken in and around the batting cage. 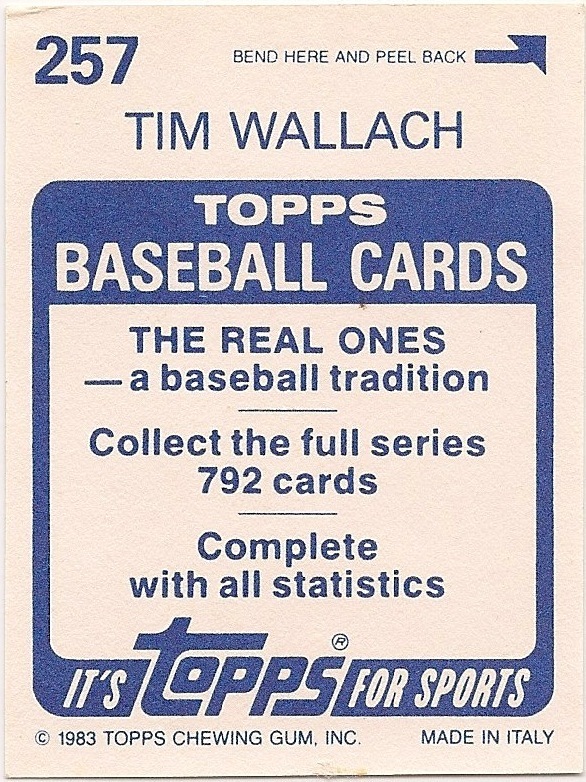 Topps used to do that with a lot more regularity in the 70's. 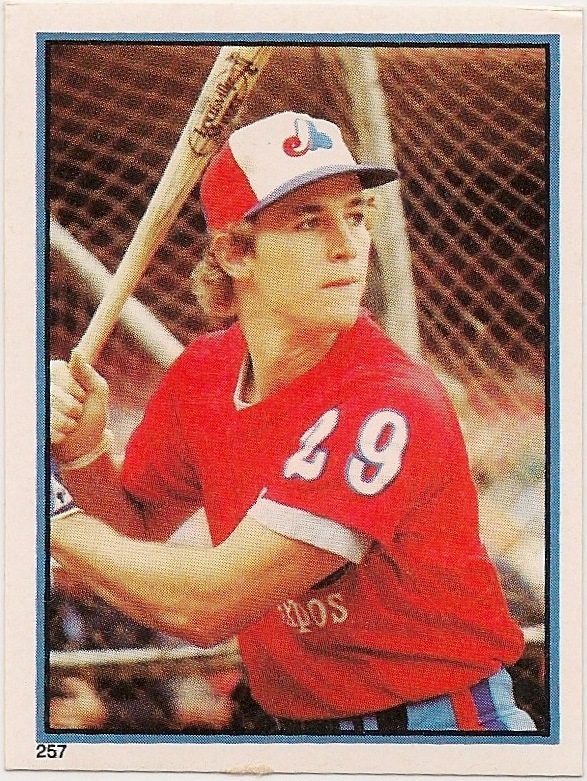 If this were cropped differently, it would have made for a great photo on Wallach's 1983 Topps base card. 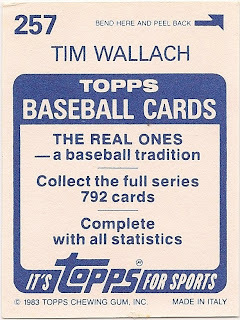 As it is, it's a little too much of a close up given the way Topps included the portrait on the front of the '83 card.